NOTE: Click each image for more information about the title. Click a name to go to a website/blog, if available. This is a recent reprint of Bohm’s classic book published first in 1980. Bohm, a renowned quantum physicist and philosopher, presents his concept of the holomovent, a holographic model of the universe realized in hierarchical levels of implicate and explicate order. Chris Carter presents a critical examination of the arguments the skeptics have against psychic phenomena and near-death and after-life experiences and the substantial scientific evidence for them. Biophysicist Mae-Wan Ho provides considerable evidence for quantum coherence in life processes, long considered impossible in warm, wet organisms and the brain. Actually, she argues convincingly that it is, in fact, the coherence of water itself that enables apparent instantaneous communications among cells and other biological entities. These books are not easy reading, for they include scientific and mathematical expressions and equations which may not be easily handled by those without a firm scientific background. Nevertheless, it may well be well worth the effort needed to tackle these books for the the ideas and fascinating, provocative, and foretell of major changes in scientific thinking in physics, biology, psychology, and even environmental sciences. These books are from the ICRL, an international, interdisciplinary, and intergenerational consortium of some 75 members, most of whom have been associated with the Princeton Engineering Anomalies Research (PEAR) Project. View The PEAR Proposition, a video excerpt introducing the project’s research and findings. Jung introduced and developed the construct, synchronicity, beginning in the 1920s. 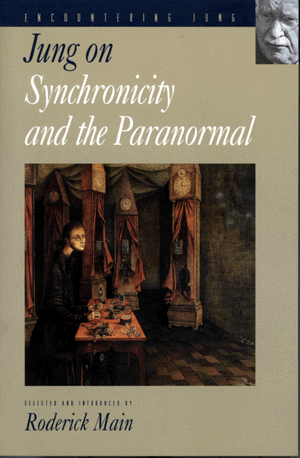 Roderick Main, editor of Jung on Synchronicity and the Paranormal, introduces key readings from Jung’s seminal contribution to our understanding of synchronicity. Mind: An Essay on Human Feeling, Volume I, is the first of three volumes encompassing philosopher/aesthetician Susanne K. Langer’s opus magnum. Among the most significant constructs developed in this volume, is the act form which she offers as a more fecund construct than the S-R paradigm of behaviorism. The act is a form, fractal in nature, found in all living processes, and expressed in all art. Other constructs relevant to the noetic triune include the reciprocal processes, individuation and involvement, and entrainment. These five books reveal the maturation of Ervin Laszlo’s thinking regarding the nature of the cosmos and his proposal for a new paradigm for science. The earliest of these, The Connectivity Hypothesis (2003) is the most technical; Science and the Akashic Field (2004, 2007) may be the best one to start with, before taking on the most comprehensive, Akasha Paradigm (2012). Science and the Enchantment of the Cosmos (2006) offers a collection of essays by Laszlo and others on his new thinking. Dawn of the Akashic Age (2013) is the most recent. Click here for more of his published works (>70). The Biology of Belief is a ground-breaking work in the field of new biology. Author Dr. Bruce Lipton is a former medical school professor and research scientist. The implications of this research radically change our understanding of life. It shows that genes and DNA do not control our biology; that instead DNA is controlled by signals from outside the cell, including the energetic messages emanating from our positive and negative thoughts. The Intention Experiment, drawing on the findings of leading scientist on human consciousness from around the world and online intention experiments, demonstrates that thought is a thing that effects other things, non-locally. Extraordinary Knowing is the best book I know of for introducing people to the phenomena of nonlocal consciousness. It is a fascinating and informative read, revealing a respected academic clinician’s personal and professional journey into the realm of extraordinary knowing, her examination of the phenomena of nonlocal mind, and the challenges skepticism brings to understanding and acceptance of the nonlocal reality of extraordinary knowing. You can see/hear the author, ‘Lizby’ Mayer, relate the story of how she her professional life was changed by an extraordinary happening of extraordinary knowing. Note: I have used this as the core text of a class I developed and have conducted several times for the Osher Lifelong Learning Institute at Auburn University and continue to recommend it participants in similar classes. Dr. Edgar Mitchell, the sixth man to walk on the moon and founder of the Institute of Noetic Sciences (IONS), offers answers to many of humanities great mysteries, such as psychic phenomenon, based on the latest research in quantum physics. Second Sight is very revealing book by ‘intuitive’ psychiatrist, Judith Orloff, about her life and her work. It presents a professional perspective of nonlocal, ‘intuitive’ mind and how it manifests in personal lives and professional work. Radin’s Entangled Minds (2006) is his most well-known and referenced work, while Supernormal (2013) is new, with a publication date of July 2013. 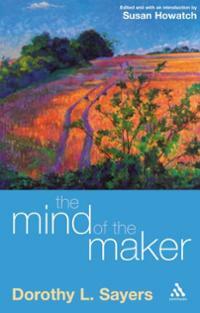 Much of his other work is available on the IONS website, including Entangled Minds, an article based on the book. He also has a blog and a website where more of his thinking is revealed. In this small book Dorothy Sayers illuminates the Christian Holy Trinity in term or creative artistic imagination. It is her conceptualization of the Trinity in terms of Idea, Energy, and Power that inspired the secular Noetic Triune and its elements, Idea, Image, and Import. A free online version is available. The link between transcendent experience and psychic experience is closer than one might imagine. Each one emerges from the vastness of the nonlocal mind. Opening to the Infinite, explains the relationship of nonlocal awareness with spiritual practice, creativity, and the modern mental martial art known as Remote Viewing, and what this tells us about our nature as human beings. Schwartz has conducted a series of workshops based on this text and it is included in the Remote Viewing – The Gold Standard Course. 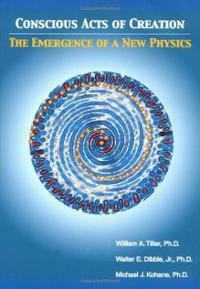 An IONS article by Schwartz previewed the core thesis of the book. The Secrets Vaults of Time is a fascinating look at the best psychics and remote viewers of the 20th century, including Edgar Cayce and George McMullen, and their impressive contributions to science, in particular the advancement of archaeology. The Alexandria Project is the true story of how researchers from five universities and organizations went to Egypt to put the claims of a psychic ability known as Remote Viewing to the ultimate test with compelling results that are astounding. Sheldrake’s website is a good primary resource for his works and for more information about the theory and research upon which these books were based. Specifically, see Morphic Resonance and Morphic Felds-An Introduction, Papers on the Sense of Being Stared At, and Links to the Unexplained Power of Animals. Although written more than twenty years ago, this book–now with a new foreword by Lynn McTaggart, author of TheField–is still the best introduction to the ideas and science of a holographic universe and their relationships to mind, consciousness, and the paranormal. Talbot draws mainly on the thinking and work or two holographic pioneers, David Bohm and Karl Pribram, elucidating powerful, radical notions and implications of an integral, holographic universe. For a good preview of Talbot’s thinking, view the interview conducted a few months before his untimely death. Here are four of Russell Targ’s books, each different and important in content and intent. 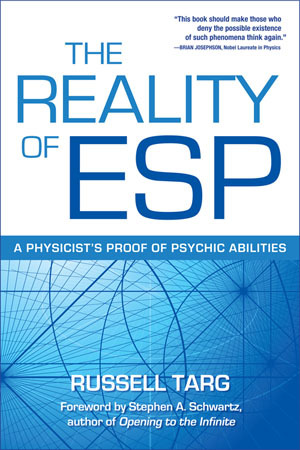 While Limitless Mind introduces one to the notion of limitless, nonlocal mind and remote viewing, The Reality of ESP summarizes and draws conclusions based on scientific evidence of ESP. The other two books are personal: Do You See What I See? is essentially biographical (subtitled: Memoirs of a Blind Biker) while The End of Suffering relates Targ’s the work of his life, remote viewing, a eastern spiritualism and philosophy of life. Each earns a respected place in my personal library for their illumination of nonlocal mind, life, and living. In The End of Materialism, psychologist Charles Tart “reconciles the scientific and spiritual worlds by looking at empirical evidence for the existence of paranormal phenomena that point toward our spiritual nature, including telepathy, clairvoyance, precognition, psychokinesis, and psychic healing. In these two books and DVD Dr. Tiller presents his ideas, research, and findings, explaining and demonstrating the validity of psychoenergetic science. Milo Wolff explains his theory, the wave structure of matter (WSM), the fundamental nature of space, how waves in space generate particles (the centers of propagating waves), and the source of all natural laws which can be derived from the WSM. This is an intriguing alternative theory which may, in time, be recognized as the best theory for comprehending and explaining the nature of physical reality.